From tents to legendary, eternally popular accommodation on wheels such as caravans and campers; from trailer homes to state of the art mobile structures for events or emergency situations, to the use of containers as ready-mades for contemporary pre-fab architecture: cheap, easy to build and environmentally conscious. You will find all this and more in this fascinating, original book, with beautiful colour images and detailed information. 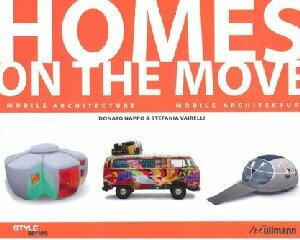 This book is a must have for all those who succumb to the appeal of mobile accommodation, but also for those who design and construct homes on wheels, as an essential source of reference.